Below are the top majors among Spring 2018 baccalaureate graduates. Click here or on the graphic to see the full list. 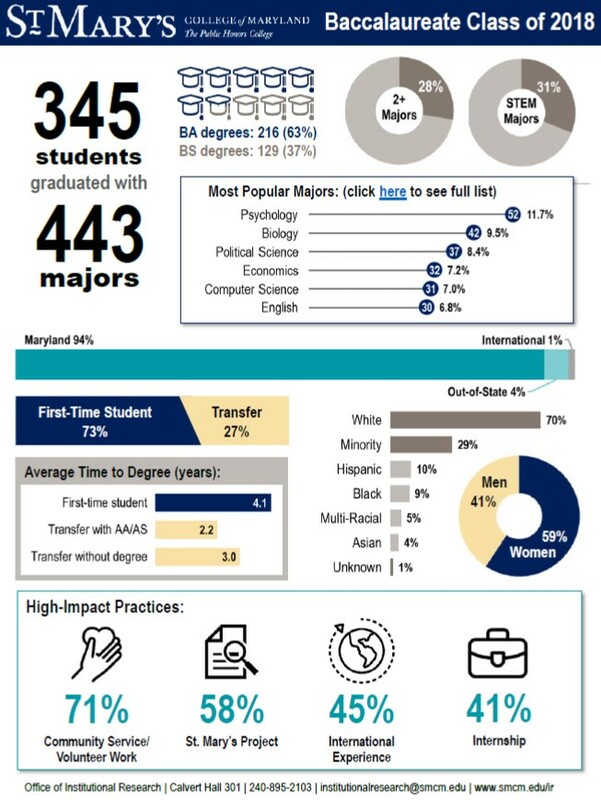 Looking for more details on the Class of 2018, including time to degree, gender and ethnicity breakdowns, and high-impact practices? Check out the graphic below – click to download a PDF. Below are tables detailing how many students completed degrees in each major, minor, and MAT field each year.